Have you ever forgotten to bring your shopping list when you go shopping, or forget to pack something when you travel? Perhaps you have a number of tasks to do around the house but you can't find the list you had written down? 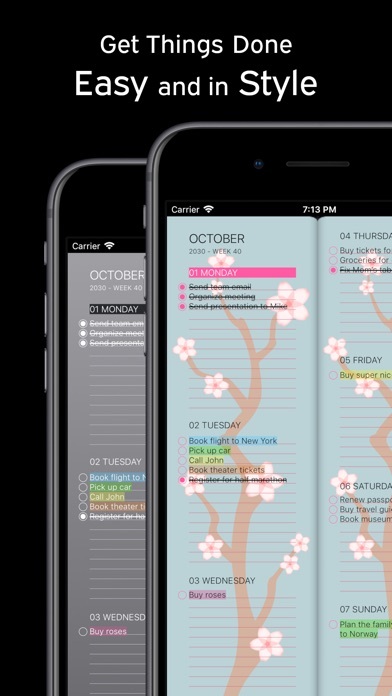 Or simply you want to organize yourself by creating a to-do list to do everything in time and without forgetting anything? If your answer is yes then you will have to download and install Doweek on your iPhone or iPad because it is the perfect app for you right now. 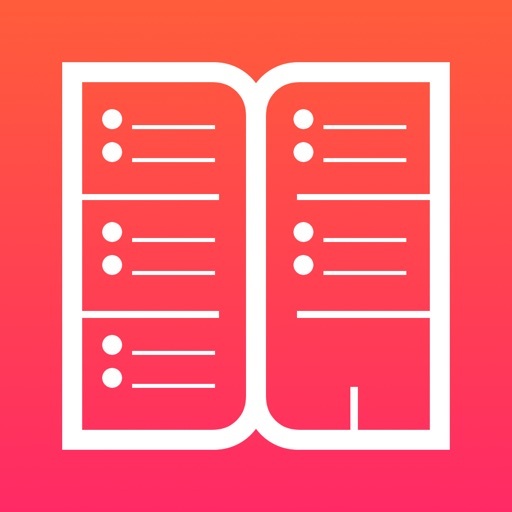 Doweek is the best modern to do app and tasks schedule that will let you organize yourself and write down your shopping list, to-do list, travel list, tasks and many more in the same place and in the easiest way. We will make your life easier. 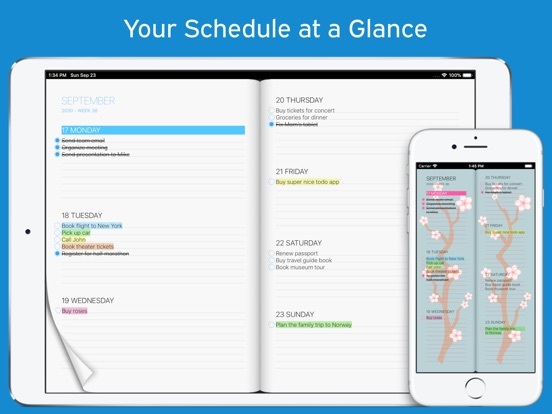 Why choose to organize yourself with Doweek instead of other agenda and schedule apps? √ Very easy interface to use so we guarantee that you will write down all your tasks, to-dos and schedule fastly and without complications. √ On our app, you will be able to browse through weeks easily and find all your tasks or anything you wrote easily and without complications. Super easy not? 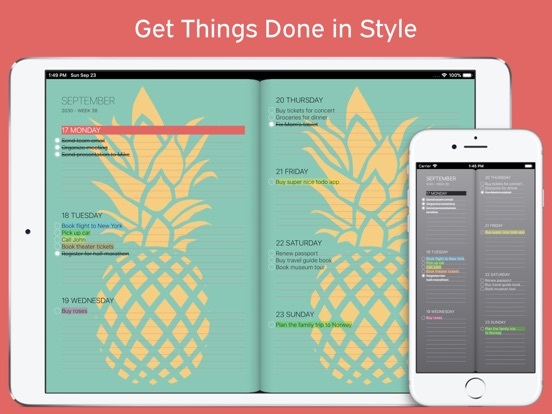 √ Doweek has a great user interface that will let you love to write your agenda on our app. 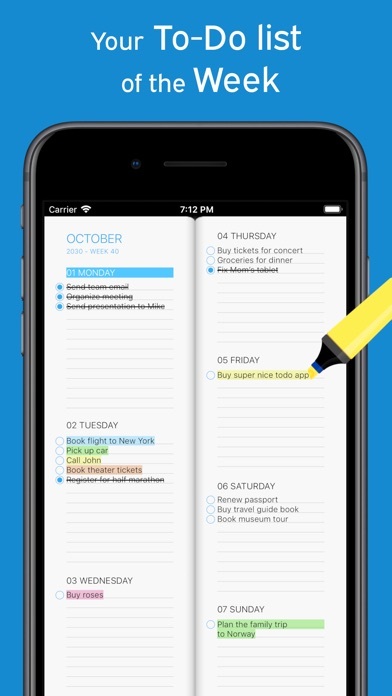 You can even use highlighters to highlight your special tasks and get even more organized. All graphics are of a very high quality and you will not be able to find them elsewhere. √ We offer a stylish week view that will let you get an overview of your weeks in an amazing stylish view with different themes. 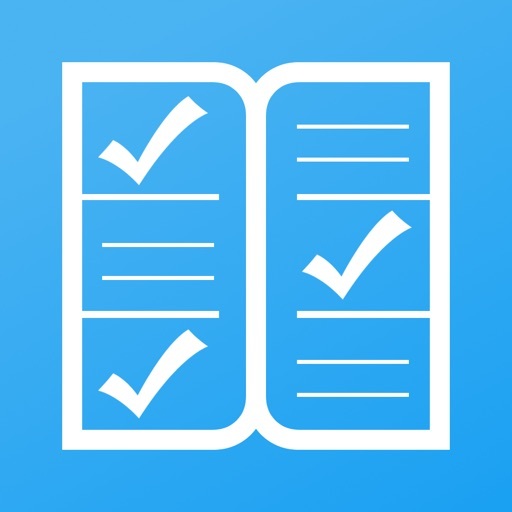 √ All your tasks and schedules are stored safely in iCloud, so you don't need to worry about anything you type on our app, no one can steal or read your to-do list. √ You can access your information on all of your devices with the same iCloud account. What are you waiting for? Download Doweek and start organizing yourself in the best way. Turn on if you want to receive a reminder from iOS when the task is due.